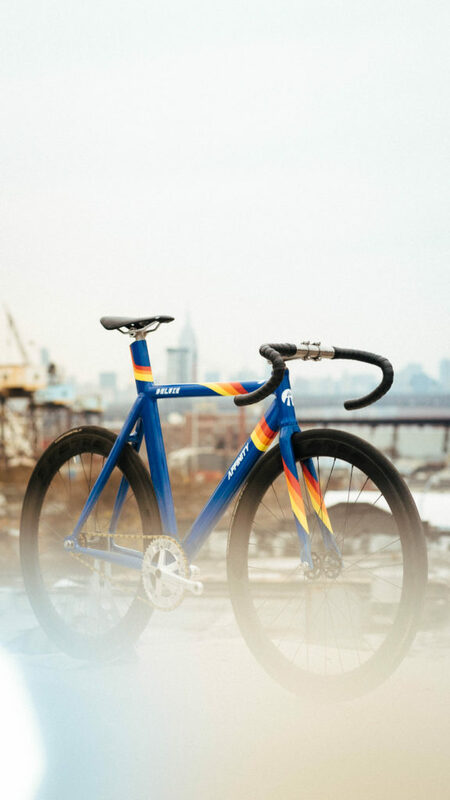 Our latest collaboration with Brooklyn’s own Affinity Cycles has yielded one hell of a looker. 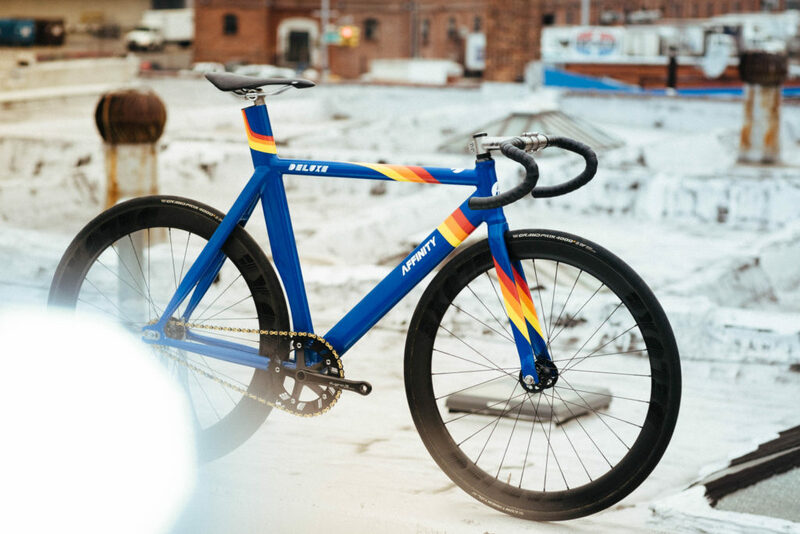 You might recall our team edition Affinity Anthem with rally livery masterfully painted by Ben Falcon of Horse Cycles. This time around, we are paying homage to the Baja Racing color concept. Subtle and classy, yet laid back – reminiscent of a chromatic spectrum procured from a warm day’s sunset. 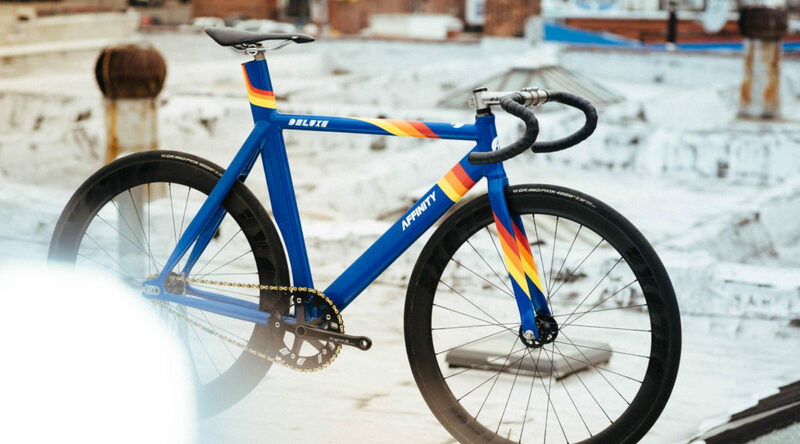 The Affinity Kissena is a race machine. It’s aero, stiff, light, and everything you would want when you’re looking for a fast bike. It is the most proven aluminum track frameset in the market. The Kissena has taken home dozens of Six-Day, National Championship, and UCI victories. It is constructed from 7000-series aircraft grade aluminum tubing. It’s integrated seat mast provides incredible stability in sprints and strength through corners. Burly rear drop outs and short rear triangle with a seat tube cut out makes for a tight wheel base and an aero short-clearance wheel position. The Kissena’s intention is to cater to the racer. 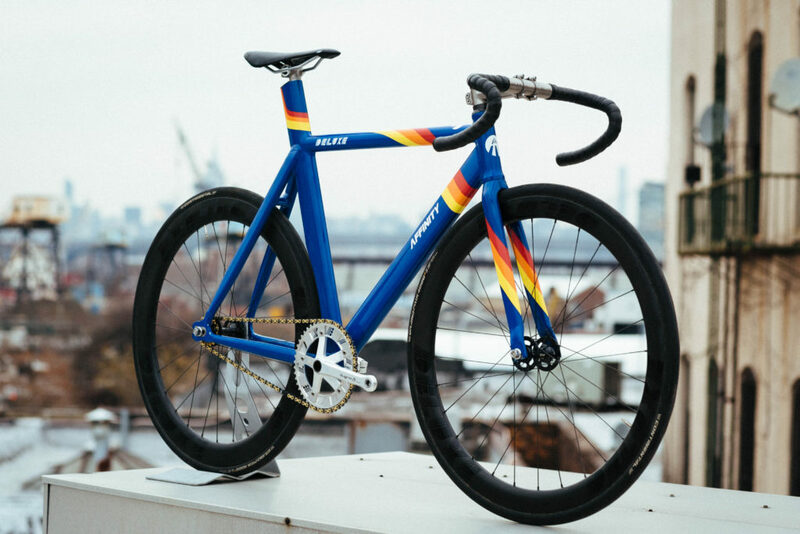 Whether it be a track race, fixed-gear crit, alleycat… or really anything you can think to throw at it – it will perform. Going back to the roots of the track bike, with the main designation to be a versatile machine.